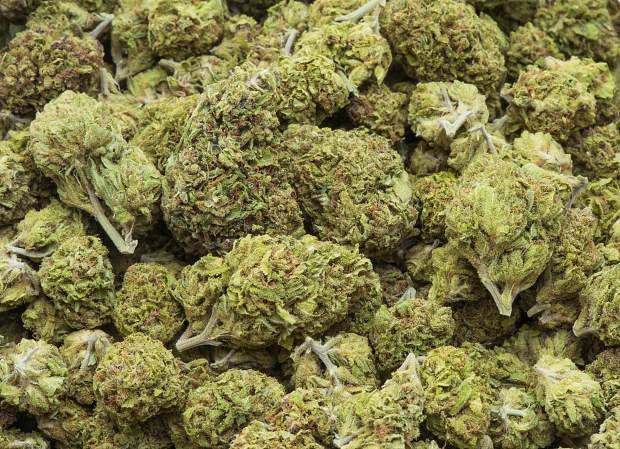 Marijuana sales in Frisco are growing at a higher rate than local liquor receipts, according to April's sales tax figures, the most recent month for which the data is available. 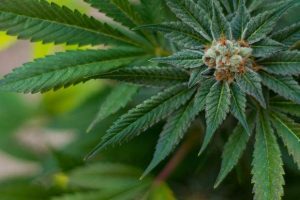 If the trend continues as it has for almost the last three years, Frisco could soon see a month where the town's and county's taxes from marijuana surpass that of liquor. The day that marijuana receipts outpace liquor sales in Frisco might not be too far off. 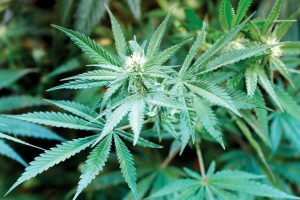 That’s because the gap in sales taxes collected by the town on marijuana and liquor has been steadily narrowing since recreational legalization took hold in January 2014, according to figures provided by the town. The trend does not wholly represent which of the two commodities is more profitable for Frisco. Rather, with the town’s and county’s tax rates held the same, the sales tax figures are a representation of the total sales of marijuana and liquor in Frisco. Not included in the figures are state and special taxes imposed on marijuana sales, so the overall economic impact of marijuana sales in Frisco is understated. Additionally, not all alcohol sales are included in liquor sales, with local restaurants’ alcohol sales, for example, being put in the restaurant category, not liquor, so the amount of alcohol sold locally is likely much higher. 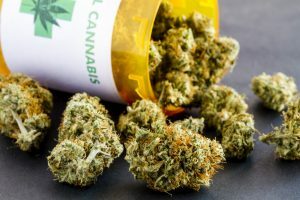 Nevertheless, both marijuana and liquor sales have experienced significant tax growth since 2014, according to the town, with liquor receipts rising from $203,605 to $346,344 in 2016 and marijuana ballooning from just under $100,000 to $213,048 during the same time frame. Not surprisingly, the fledgling marijuana business has set tax receipt records each year since 2014, and 2017 looks like another banner year for the pot dispensaries in Frisco. Frisco currently has two dispensaries in town — Tumbleweed and Native Roots — with Tumbleweed recently taking over the storefront formerly owned by Herbal Bliss. With that in mind, it’s a safe assumption that Native Roots is in large part responsible for a bulk of marijuana tax receipts in Frisco over the last two and a half years. That’s because through the first four months of 2017, marijuana is on pace to generate more than three-quarters — 76.6 percent — the revenue from sales that liquor is, with pot having already surpassed $100,000 and liquor at just over $130,000 through April, the most recent month for which sales tax figures are available. And those numbers have never been closer. In fact, the two closest months on record for Frisco’s pot and liquor sales came in January and April of this year, with pot tax receipts reaching record levels the first month of 2017 at $31,168. In comparison, that was 89.3 percent of the $34,109 that was generated by liquor sales the same month. The only other time in town history that marijuana sales taxes have been more than 80 percent of liquor sales in a single month came in April of this year, when marijuana generated 82.1 percent of the sales tax revenue that liquor did. The dwindling difference between the tax revenue collected on pot and liquor is part of an ongoing trend that goes back to the first year recreational marijuana was sold in Frisco. In 2014, its first year of recreational and medical sales, pot generated $96,258 in sales tax revenue in Frisco — or 41.4 percent of the sales taxes that were collected on liquor. The following year that percentage was up to 56.5 percent, and in 2016 it was at 61.5 percent. It should be noted that both pot and liquor sales play a small role in Frisco’s total sales tax revenue. In 2014, for example, marijuana accounted for less than 1.5 percent of total sales tax revenue ($5.9 million) while liquor made up a slightly larger share at 3.4 percent. 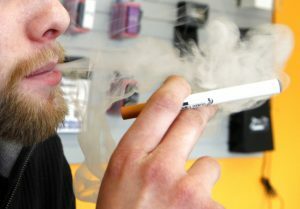 Singularly, marijuana and liquor sales each generate more tax revenue for Frisco than do the sales of clothing, health and beauty, and arts and crafts, according to the report, but pot and liquor are still dwarfed by restaurant receipts, hotels and inns, grocery and general retail, which remain the town’s biggest sources of sales tax revenue, accounting for most of the town’s general fund. However, the total economic impact of marijuana sales in Frisco — including state and special taxes — is actually somewhere in the neighborhood of $500,000 once state and special taxes have been accounted for, according to town officials.